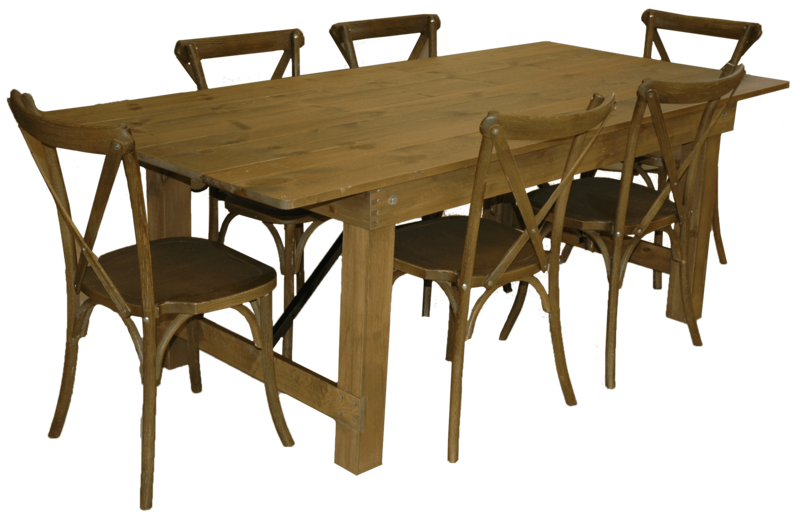 Dine in style with this farmhouse style table set. The table features a plank style top and foldable legs. Pins pull out to fold the legs that securely lock underneath the table. The same pins provide extra stability when the table is in use. The stackable cross back chair features ash wood and protective floor glides. Whether you're going for a country feel or a modern appeal, this set will get you the desired results.